Shopping for a new car can be overwhelming, especially with today’s high-tech features. From emergency autobrake to lane departure warnings , today’s drivers have more options than ever before. 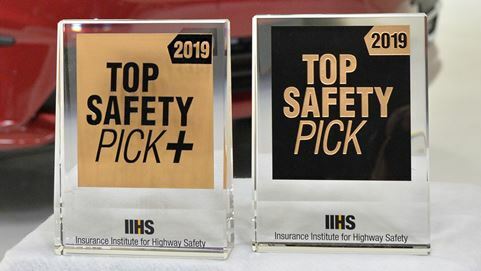 The Insurance Institute for Highway Safety gives drivers a great place to start with its annual Top Safety Pick ratings. This year, 30 models were awarded the institute’s top-tier award and 27 models earned the second-tier award. IIHS conducts tests to determine which vehicles do the best job of protecting people in the most common kinds of crashes. According to its website, the institute tests crashworthiness (how well a vehicle protects its occupants in a crash) and crash avoidance and mitigation (technology that can prevent a crash or lessen its severity). See the remaining 27 winners in the Top Safety Pick category plus safety ratings for older cars at IIHS.org. To make sure you have the right auto insurance for whichever vehicle you choose to buy, call one of our professionals at Assure America. We have locations in Weirton, Wellsburg and Chester in West Virginia; Steubenville, Ohio; Louisville, Kentucky; and Pittsburgh, Pennsylvania.